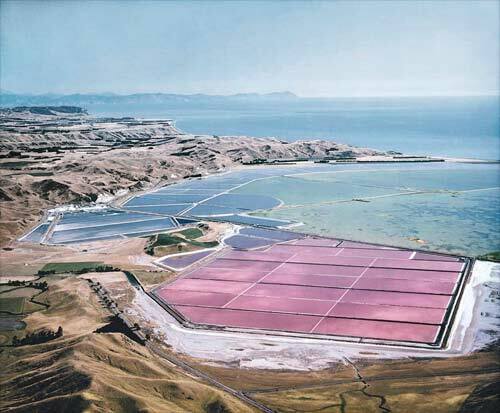 Salt has been produced from evaporated sea water at Lake Grassmere/Kāpara Te Hau since 1952. Masses of algae and tiny shrimps give the crystallisation ponds a pink hue. The lake is on the Marlborough coast between White Bluffs/Te Parinui o Whiti (in the background) and Cape Campbell (not visible in this image).